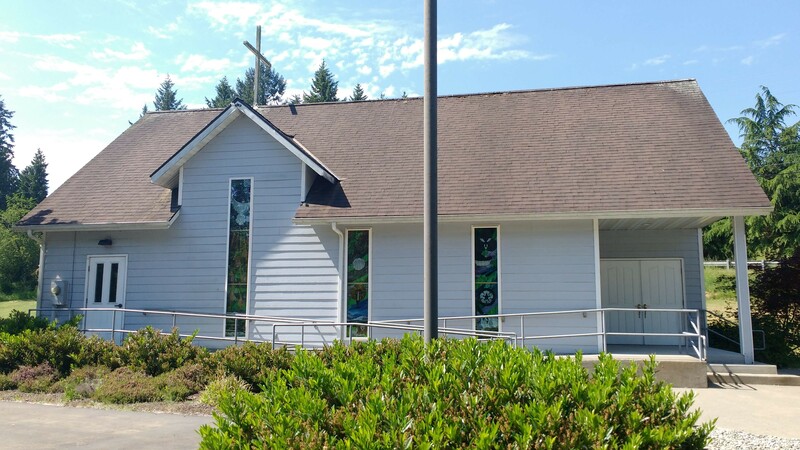 Ascension Lutheran Church began in the late 1980’s as a preaching station of Redemption Lutheran Church of Lynnwood (a northern suburb of Seattle). For many years, Pastor Bertram Naumann faithfully and regularly brought the Word of God to CLC members in the Tacoma area, meeting in members’ homes and in various public venues. Tacoma is located thirty-two miles south of Seattle, on Puget Sound. 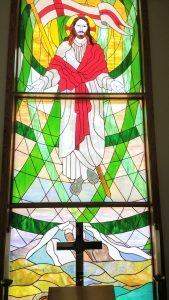 The congregation was incorporated in 1992, and was served for two years by Pastor Wayne Eichstadt, the synod’s missionary-at-large at the time. In 1995, Ascension called Pastor Paul Naumann as their first permanent pastor. A parsonage was rented in the village of DuPont, Washington, just south of Tacoma. Sunday services were held in the DuPont city hall. 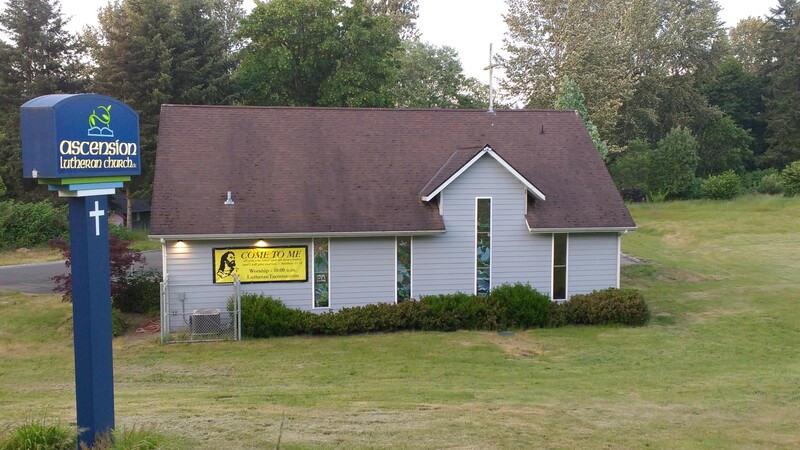 In 1998, after a lengthy search and with the help and advice of the CLC Board of Missions, the congregation purchased a four-acre property in unincorporated Pierce County between Tacoma and Puyallup. A spacious house, already on the property, was designated the church’s parsonage, and the whole property was dedicated to the Lord’s service on August 15, 1998. In 2003, the Lord further blessed Ascension by providing them the means to build a church of their own. 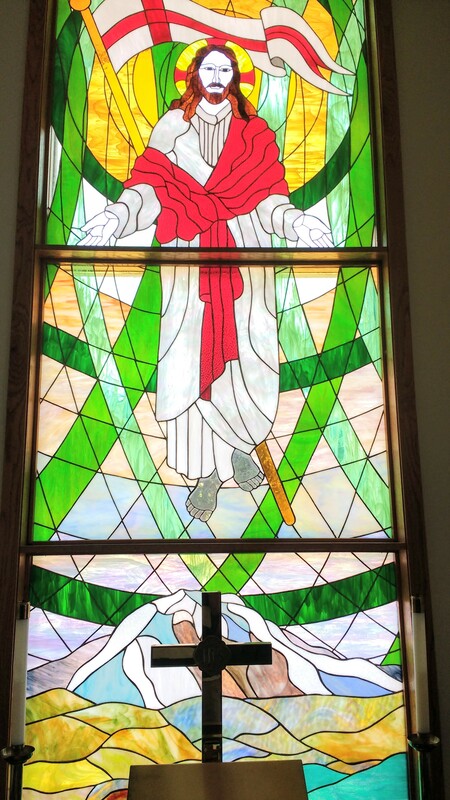 This was done by the hands of CLC members and a lot of hard work dedicated to the Lord. The first services held in the church began on May of that year. In 2010, the congregation undertook an expansion of the parking lot, as well as extensive upgrades to the landscaping and grounds. On September 11th, 2016, Ascension installed Immanuel Lutheran Seminary graduate, Ben Libby, as their new pastor. They continue to focus on sharing the Gospel in whatever ways they can. They remain confident in the power and purpose of God’s Word, and thankful for mission opportunities. Ascension continues to serve the greater Southern Puget Sound area. There are many opportunities in this area of the country. More people than ever are coming to our area. There are some big companies in Seattle, and many people find themselves working there and living here. 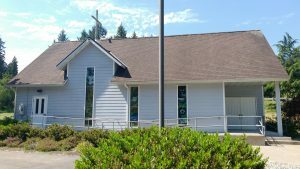 Our congregation is also close to the Joint Army and Airforce Base Lewis McChord. By God’s Grace, the members of Ascension seek to hold true to God’s infallible Word of Truth. It is their on-going mission and privilege to “Preach the word! Be ready in season and out of season. Convince, rebuke, exhort, with all longsuffering and teaching” (2 Timothy 4:2NKJV). May the Lord continue to accomplish this through them so that they are able to win souls for His Kingdom!